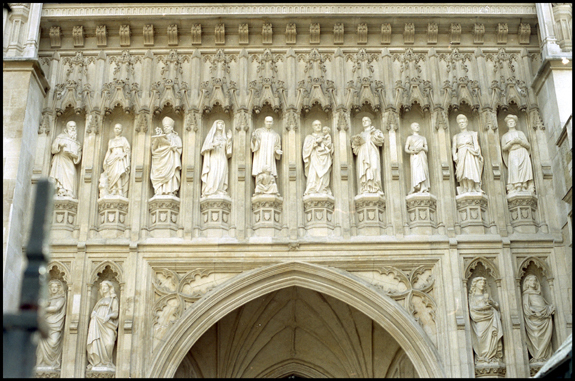 This is a photo of an entryway at Westminster Abbey. I studied art in college and our history classes were heavy on medieval churches. I loved them in the slides and even more in person. The artistry is incredible. And everything is so symbolic. There are many people actually buried there. And they still hold services. I could feel the millions of people who had passed through. The wood of the memorials and burials was worn in spots from being rubbed by so many.